As a conscientious corporate citizen with a vision to serve a greater national and humanitarian purpose, Effwa strives to create a larger societal capital while simultaneously delivering long term value to the company. We believe that this approach will unleash strong drivers of inclusive and equitable growth for even the most marginalized sections of society and also ensure long-term business sustainability and competitiveness. Our CSR policy embodies the company’s philosophy for fulfilling its responsibility as a corporate citizen and lays down the guidelines and mechanism for undertaking socially useful programmes for welfare & sustainable development of the community at large. We strongly believe that our growth is directly linked to the growth of people associated and affected by our work. Effwa has relentlessly worked in order to improve the accessibility of the rural households and underprivileged population to drinking water. 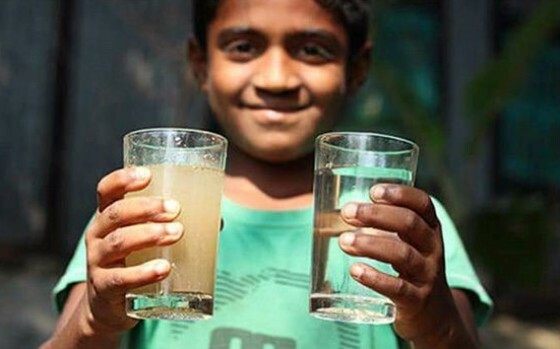 Our objective is not only to provide safe drinking water to the village, but also to educate the villagers regarding the importance of water purification and the positive impact it has on health. Thus, our objective is to create self-reliant villages that understand the importance of purified drinking water. To take a small step towards our objective, we implemented a community-based safe drinking water programme in the year 2013-2014, catering to a population of about 2000 people in Sagra village at Rewa district in Madhya Pradesh. Before the implementation of this programme, the villagers would rely on contaminated water from a nearby pond for their drinking water needs and access to safe drinking water was elusive. The water from this source contained hardness, iron and bacteriological contamination exceeding safe limits for human consumption. Inevitably, cases of water-borne diseases were a common occurence in the area. 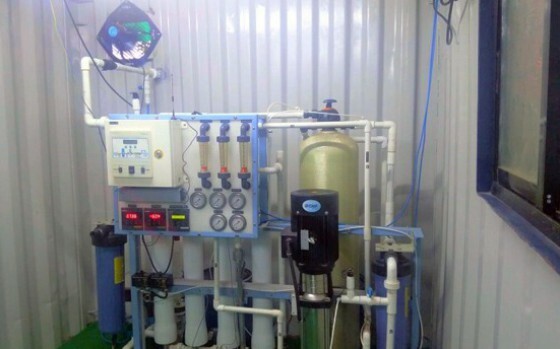 In order to provide the village with safe drinking water and consequently improve the overall health of the village, we established a containerized water treatment plant consisting of pretreatment, ultrafiltration, reverse osmosis and disinfection units. The treated water would be bottled in 20 L containers after quality monitoring and transported to various locations within the village where groups of villagers in the vicinity would gather to collect their water for the day. To prevent misuse of the facility, each villager covered under the programme was given an ‘Effwa Smart Card’, which would be swiped to record the user’s identity and 20 L of water would then be handed over to the beneficiary. Not only was the system convenient for the beneficiary, but also for Effwa’s real-time data collection. The implementation of this project helped the villagers realize the benefits of safe drinking water through their own experience and thus, also acted as a successful awareness programme. Effwa’s contribution in welfare of the village through the implementation of this well-structured project has also received appreciation from Shri Rajendra Shukla, Minister (Power, Mining & Public Relations) of Govt. of Madhya Pradesh. Effwa realizes the need for strengthening the foundation for education in India, especially for the economically deprived sections of the society. One of the ways we contribute towards achieving this objective is by funding and supporting Navajeevan Prathamik Vidya Mandir (NPVM), a Government recognized school providing free and quality education to underprivileged children in the Majiwada village. The school is managed by Kala Sugandha Mandal and provides education for students from standard I to VII. In view of the socio-economic disadvantage faced by them, the children from the Majiwada village were often driven to child labour and other unlawful means of acquiring money to support their families. Education was seen as a luxury and not a necessity. By supporting Navajeevan Prathamik Vidya Mandir (NVPM), we have been able to bring about a strong and important reversal in this attitude. The funds donated to the school are utilized for maintenance of the school, paying salary of teachers, providing the children with free study material, uniforms and meals etc. We believe that to achieve our CSR targets in the long run, it is important to supplement the financial support with emotional encouragement to the students of the school. We therefore, make it a point to be in touch with the students of NPVM by attending various events of the school and find satisfaction in keeping the students motivated. We not only create a social impact through our CSR activities but also enrich millions of lives every day through our high-end environmental services.